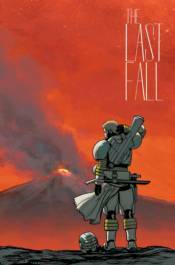 Marcus Fall is a battle-hardened soldier in a long-running inter-planetary war. After multiple combat tours, Fall is finally able to leave the military and return to his beloved wife and son. But his happy homecoming comes to a tragic end when a suicide bomber murders his family. Devastated, Fall returns to the war with one bloody mission in mind: revenge against the enemy� every last one of them.